BOCHUM, Germany -- Thyssenkrupp will adapt its strategy following a planned steel tie-up with Tata Steel, CEO Heinrich Hiesinger said, responding to investor criticism that the group is too unwieldy. Speaking at the company's annual general meeting, which was overshadowed by key shareholders asking for a broader overhaul, Hiesinger said the company's future development would be discussed at an annual strategy dialogue in May. "Naturally Thyssenkrupp will look different with the establishment of the joint venture in the steel area. We will hone our strategic vision and also adapt our financial targets accordingly," the CEO said. 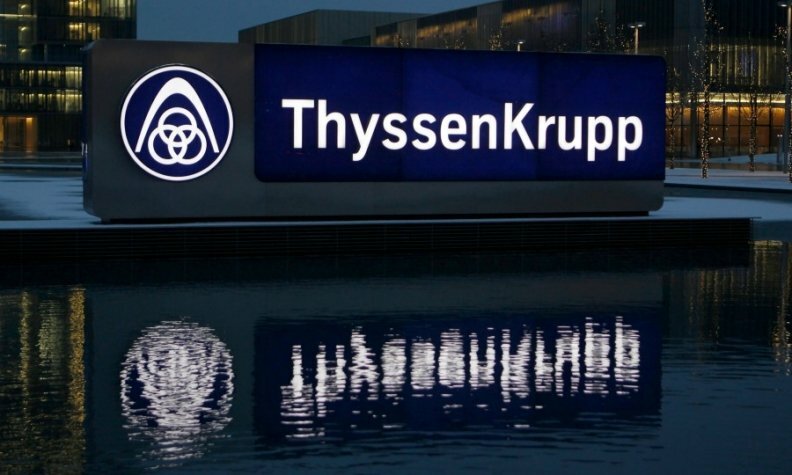 Thyssenkrupp in September agreed to merge its European Steel business with that of Tata Steel, saying global overcapacities had made a restructuring of the mainstay business necessary, but that has not stopped investors from asking for more changes. Activist investor Cevian, Thyssenkrupp's second-largest shareholder with an 18 percent stake, has been the most vocal supporter of a further break-up of the group. Hiesinger, at the helm since 2011, has resisted that call so far. He did, however, signal that more changes to the group's set-up could follow. "If we can improve a business ourselves within the group, we will do it. Wherever we see a better future for a business outside the group, we pursue this solution consistently," he said. Thyssenkrupp ranks No. 18 on the Automotive News Europe list of the top 100 global suppliers with worldwide original-equipment automotive parts sales of $10.98 billion in 2016.